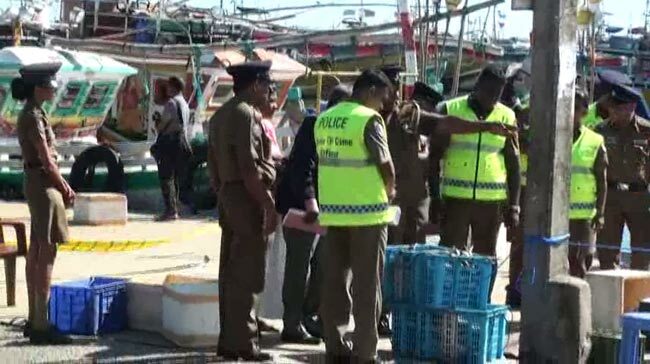 One suspect has been arrested along with a firearm in connection with the shooting incident at the Kudawella fisheries harbor, the Police Spokesman said. Four persons died while another 8 sustained injuries in the shooting incident on December 25, 2018. ASP Ruwan Gunasekara said that on the instructions of the IGP, a total of 10 police teams had continuously carried out investigations and as a result one of the suspects was arrested this morning. Rohitha Kumudu Kumara, 33, a resident of Nakulugamuwa in Beliatta, was arrested by officers of the Tangalle crimes unit when he had arrived at his house. The Police Spokesman said that a 9mm automatic pistol, 8 bullets and a magazine found in the possession of the suspect was also taken into custody while the gun is believed to have been used in the shooting incident in question. The suspect is scheduled to be produced at the Tangalle Magistrate’s Court tomorrow (20) as police seek detentions orders to further interrogate him. He said that investigations are ongoing to arrest the other suspects involved in carrying out the shooting and the suspects who aided and abetted them.